A bike lock that cannot be broken doesn’t exist, but there are several reasons why you should invest in a high-quality lock for your bike. With the right lock, the risk of someone stealing your bike can be significantly reduced. U-locks are popular products, and they serve as powerful deterrents against theft. A U-lock can resist chisels, hammers and blunt objects, but the horseshoe design can be quite limiting. If you decide to purchase a U-lock, it’s important to apply it in a way that limits the amount of leverage available to a potential thief. In other words, the lock should be sized in a way that reduces the open space between the lock and surrounding objects. The second major option is a cable lock. Although cable locks are much more adaptable and versatile than some of the alternatives, they don’t offer as much protection. Unfortunately, a pair of bolt cutters can be used to cut through most cable locks. If you’re planning to leave your bike in a low-crime area, then a cable lock might give you an acceptable level of protection. The third major option is the chain lock. Many bicyclists choose chain locks because they’re strong enough to resist chisels, hacksaws and tools used for theft, but if you choose to use a chain lock, make sure to buy a padlock that offers a similar level of protection. Here’s our list of reviews for some of the best bike locks available. The WordLock WLX Hex MatchKey is a typical cable lock. It’s made of heavy-duty WLX, and it has a total thickness of 8mm. 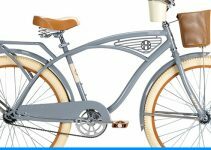 With a length of five feet, the cable is long enough to secure any bike and features a stylish matte finish. 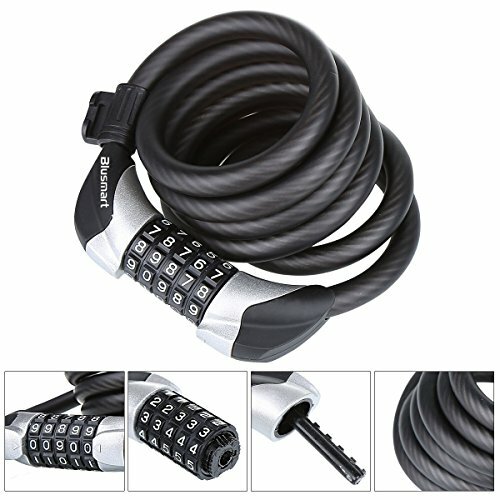 The WordLock WLX Hex MatchKey cable bike lock makes it easy to secure your bike, and since it uses a unique key shape, it’s less likely that thieves will be able to find a way to beat it. The color of the key matches the color of the padlock, and the word on the lock matches the word on the key. Both words have been etched onto the components with a laser, which is why they’re durable enough to withstand everyday use. If you’re looking for a basic cable lock, then this product is worth considering. The Bell WatchDog is another popular cable lock, and for maximum strength, it’s made of 12mm heavy-duty cable. Since it uses a resettable combination, you can forget the combination and still gain access to your bike. The cable is made of braided steel, and with a length of five feet, it can secure a bike of any size. This lock is made of stronger, thicker HD steel, which significantly increases the cut strength. The Bell WatchDog is secured with a four-digit resettable combination, and to avoid forgetting the combination, you have the option of storing it online. The SafeBest combination bike lock is available in several different colors and features a lightweight design. Since the combination is easy to set, you don’t have to waste time trying to set the right combination. For easy storage while riding, this lock comes with a component that holds it in place, and to prevent unwanted scratches, a special coating has been added to the cable. 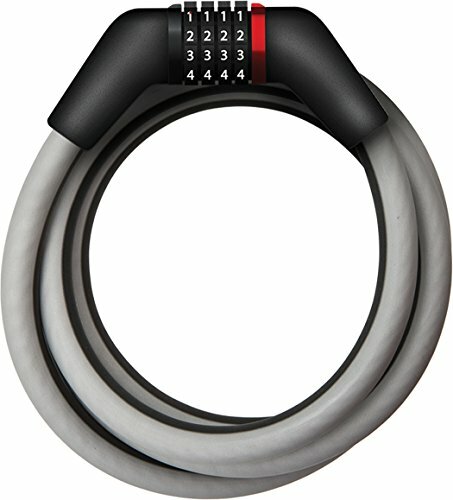 The SafeBest bike lock is made with a strong cable, and unlike U-locks, it’s not clunky and heavy. One of the problems with U-locks is that they can scratch the paint off your bike. Since it features a lightweight design, this bike lock doesn’t get in the way while you’re riding. The combination is easy to set and doesn’t require a key. The SafeBest bike lock comes with instructions, which tell you exactly how to set up the combination. The Bluesmart bike lock secures your bike with a strong cable, and the cable is secured with a resettable combination lock. To set the lock, you must create a five-digit code, and the initial password is all zeros. For error-free combination setting, the lock has indexed number dials. The cable is designed to resist cutting tools, and it’s created from twisted metal cables. For protection against water, the cable is wrapped in colored rubber, and the lock pin is made from waterproof metal. 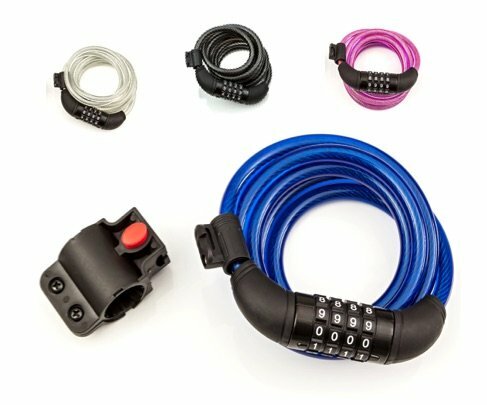 The Bluesmart heavy-duty bike lock cable is made of military-grade braided steel, and it can effectively secure grills, scooters and bicycles. With a length of six feet, the cable is long enough to secure bikes of all sizes. The lock comes with a flexible mount, which allows you to take the lock with you. You don’t need a backpack to carry the lock, and it’s made from materials that are capable of withstanding extreme hot and cold. 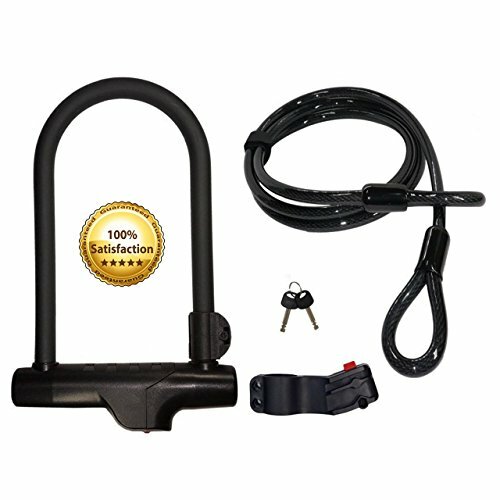 The Cocoweb bike locks consist of two major components. The first component is a U-lock, which can be used as a standalone theft deterrent. 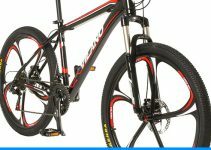 The second component is a strong cable, and it’s designed to be used with the U-lock. These locks are made from high-grade solid steel, and they’re wrapped in 2mm PVC coating, which protects against scratching. The weather guard feature protects the U-lock and prevents moisture from causing the lock to rust. 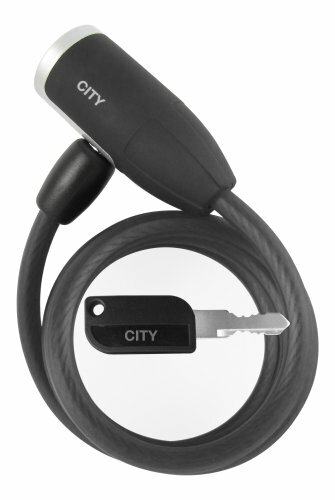 The U-lock comes with a durable security cable, and the cable is used to increase the overall protection. This lock system comes with a convenient carrying clip mount, and it allows you to take your bike lock with you. The included security cable is made of braided steel and has a length of five feet. The U-lock is built for strength and has a thickness of 15mm. The locks come with two keys, which are laser cut for maximum durability. The Bell CATALYST is another example of a top U-lock, and it’s affordable on any budget. If you live in high-crime areas, this is a great lock to consider purchasing. It has an eight-inch hardened steel crossbar and shackle, which deliver strong security. The carrying bracket has a Quick Release feature, and it makes transportation with the lock much easier. The shackle and crossbar have been coated with tough vinyl, so you don’t have to worry about your bike getting scratched. This durable U-lock comes with two keys, and it can be used to protect most bikes. When tested in an independent laboratory, this lock provided a security rating of four, which is just one point below the highest level of protection. 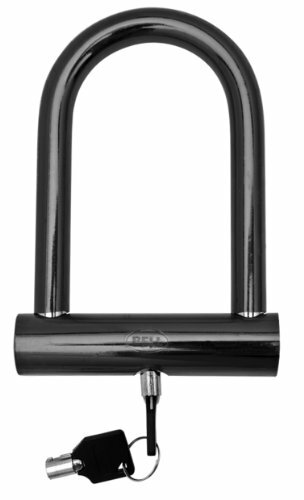 Like most other products, the Bell CATALYST pocket U-lock serves as a theft deterrent, but there is no such thing as a bike lock that can withstand a determined thief. Here we have a high-quality chain lock. With a pin-link design, this lock secures with a hardened deadbolt. To secure your bike to an object, it uses 7mm chain links that are made of manganese steel. The hardened deadbolt provides additional holding power when it’s exposed to leverage attacks. The disc cylinder inside of the lock mechanism is resistant to drilling and picking, which helps to keep your bike secure. 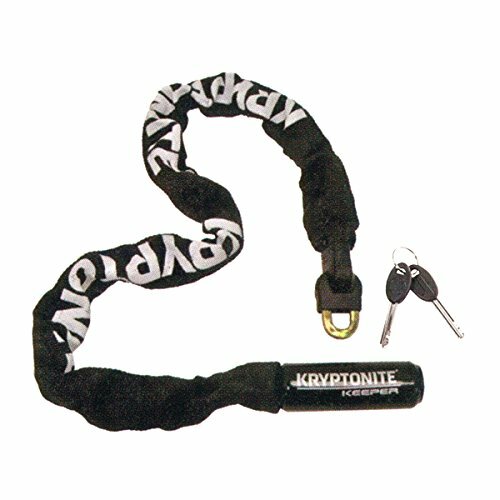 The Kryptonite Keeper bicycle lock comes with three ergonomic keys, and it’s available in several different colors. Each chain link has four sides and helps to protect against leverage attacks. If you’re looking for a high-quality chain lock, the Kryptonite Keeper might be worth considering. The Foneso bike lock can secure your bike, and it doesn’t require any keys. Since it can be opened with a five-digit password, you don’t have to fumble around with a key. With 100,000 possible combinations, there is no way for a thief to brute force your password. This lock uses a strong chain to secure your bike, and the chain is light enough to carry anywhere. To protect the paint on your bike, your secure chain is covered with a cloth sleeve. The Foneso bike lock uses a chain made of manganese steel, and it’s strong enough to resist drilling and sawing. The lock comes equipped with a dustproof, waterproof cover and can be used for sports equipment, skateboards and bicycles. Unfortunately, no bike lock will stop a determined thief, but the Foneso chain lock will make him or her work for it. 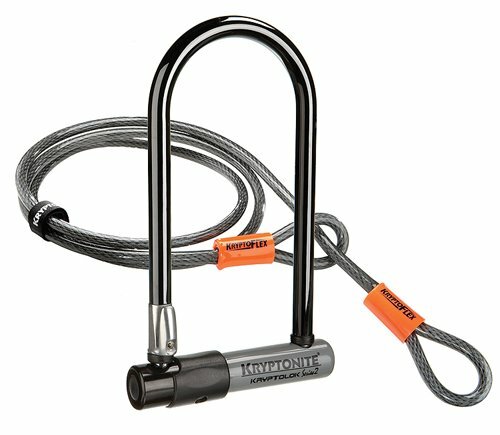 If you’re looking for a high-quality U-lock, the Kryptonite Kryptolok is worth considering. It has a shackle component made of 13mm hardened steel and resists attacks involving leverage and cutting. With a high-security Bent Foot design, this lock delivers serious protection. Since it’s designed with a disc cylinder, the Kryptonite Kryptolok resists drilling and picking. 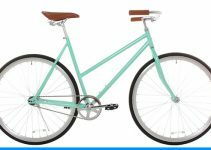 For convenience, it comes with two keys, and it even includes a Transit FlexFrame Bracket, which makes it easy to mount the lock to your bike. The entire lock weighs only 3.6 pounds, but it offers a respectable level of security. The Lumintrail LK20708 features a shackle that is made of high-grade steel, which resists jacking, prying and cutting. The lock is controlled by a four-digit combination, and the code can be reset. Once the combination has been set, you don’t have to worry about bringing your keys with you. 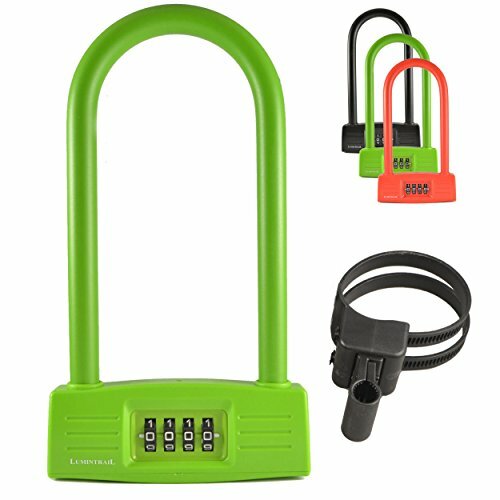 The Lumintrail LK20708 bike lock is available in several different colors, and since the manufacturer stands behind the product, it comes with a lifetime warranty. To preserve your bike’s paint job, the lock has a crossbar coated with rubber. With enough time and effort, any bike lock can be defeated, but the Lumintrail LK20708 is engineered to put up a decent fight.